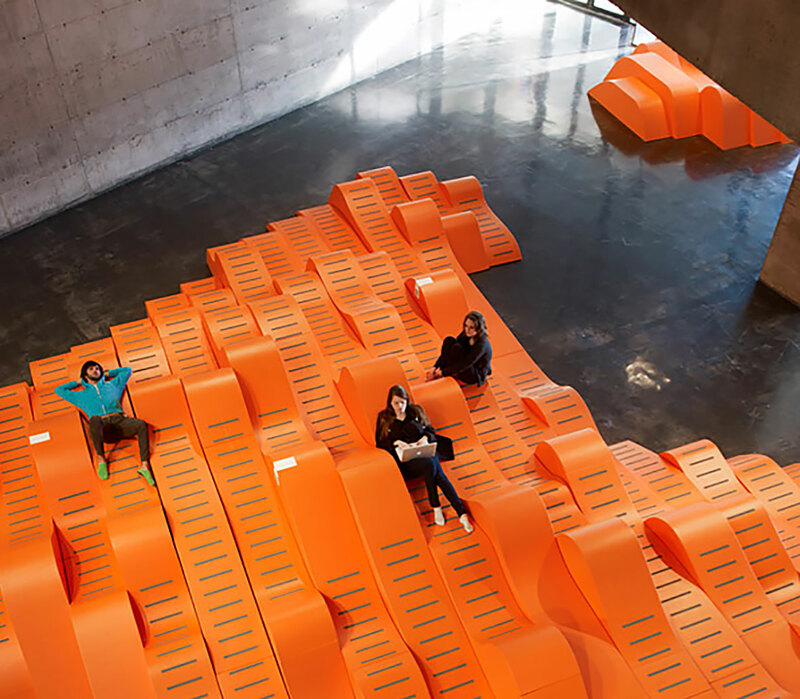 The atrium at California's Berkeley Art Museum now offers new lounge seating for visitors. Whether you’re relaxing or watching live performances, the benches are sure to please. Their organic shapes are made from a rigid foam substrate laminated to layers of painted plywood. Be careful if you visit – with wireless Internet and built-in power outlets, you may never leave this orange oasis. Read this month’s Orange. The Netherlands are world famous for their quickness on ice, at least when wearing speed skates. 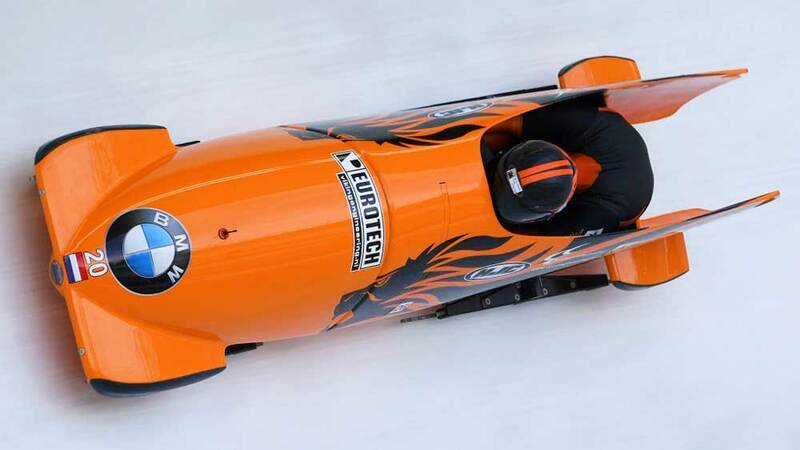 Over the years, the Dutch have won a total of 121 Olympic medals in the sport but they have never won a medal in the bobsleigh. Read this month’s Orange. 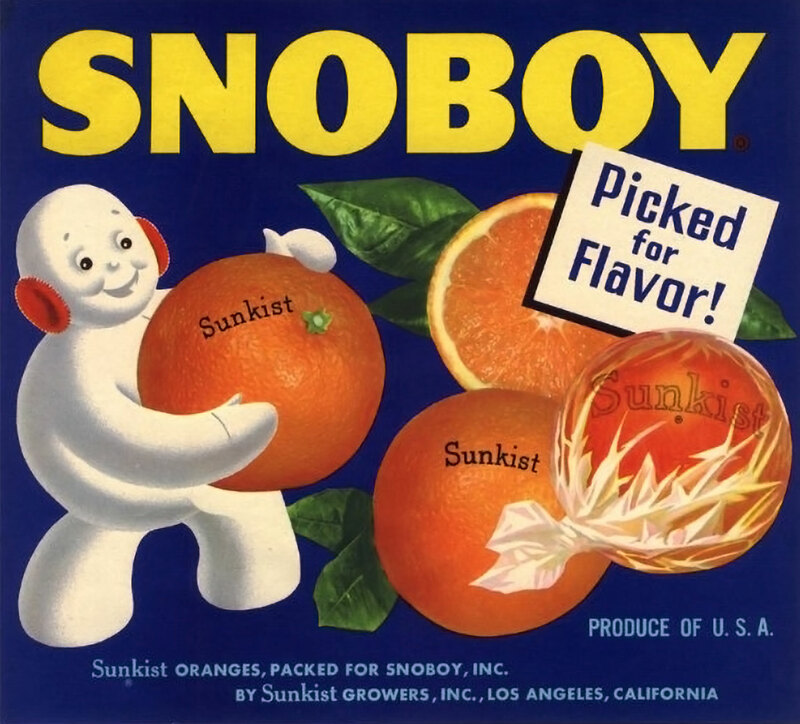 If you find an orange in your stocking this Christmas it may be harkening back to the tale of gold left behind by St. Nicholas. Read this month’s Orange. This is portable radio T52, produced in 1962 by BRAUN of Germany. It was designed by Dieter Rams, the company’s Chief Design Officer for 34 years. Read this month’s Orange. M&M Sculpture was created in 2012 by American artist Dan Colen. 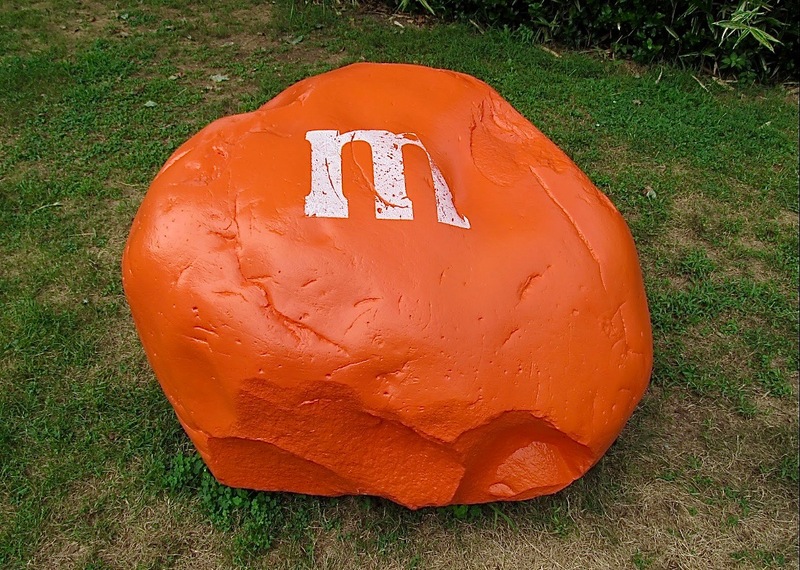 Artsy, the on-line resource for art collecters, refers to it as “...a clever take on the notion of artifice, merging the natural world with the inordinately artificial, and a wry approach to consumption.” We just think it’s cool to paint a big boulder like an orange M&M. Read this month’s Orange. 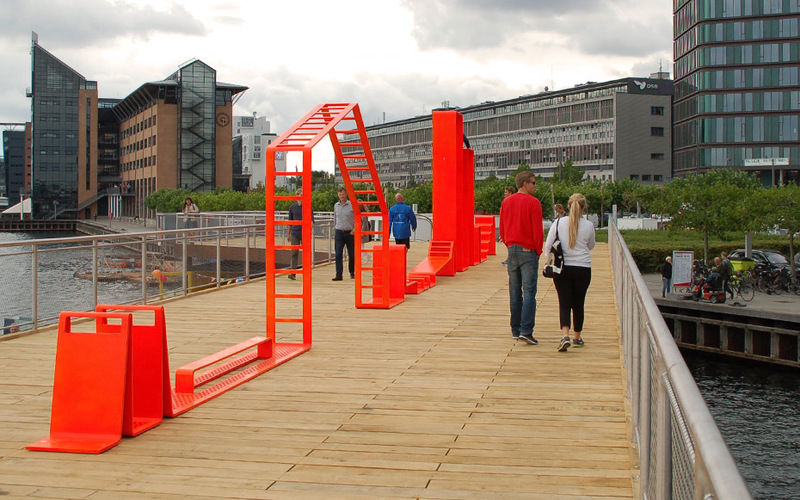 The Danish firm JDS Architects created the Skinny Playscape as part of their new boardwalk design for Kalvebod Brugge, a waterfront area of Copenhagen. The playscape is a continuous orange metal strip that provides steps, balance beams, ladders and other challenges for adventuresome youngsters. 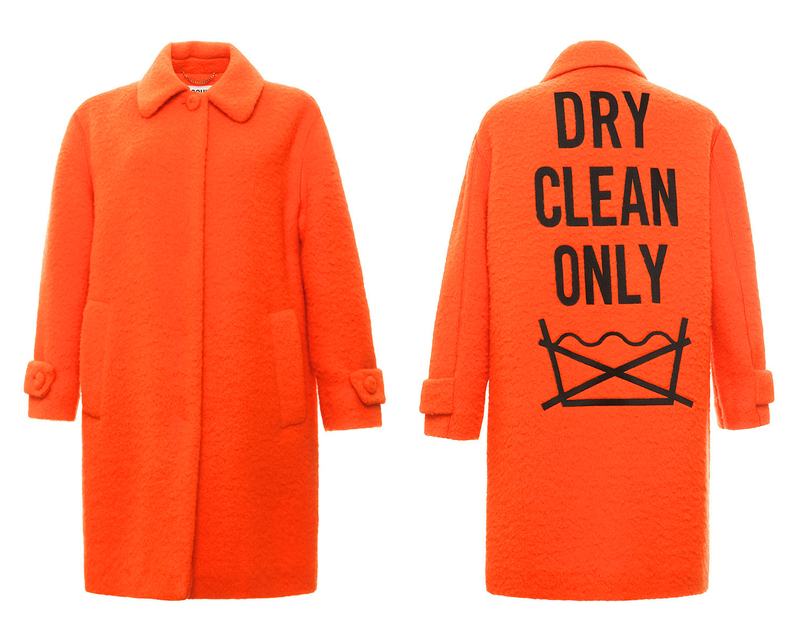 Ahhh, the Dutch and their love for the colour orange. And did you notice? There are no rubber mats or safety nets. Read this month’s Orange. 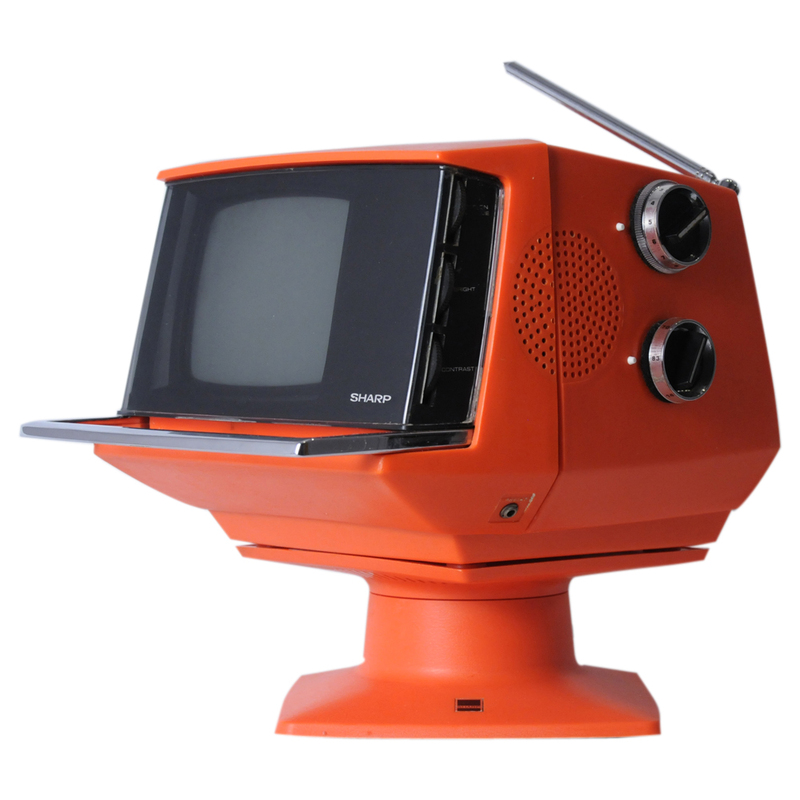 “Space Age Design” was all the rage in the late 1960s – early 1970s and the SHARP television is a favourite amongst collectors. The television disconnects from its swivel base and can be carried by its retractable handle. Made in Japan, it was an early example of a battery operated television (10 D batteries). It came in several colours, but the orange model was – out of this world! Read this month’s Orange. Based on the study of ergonomics, American industrial designer Henry Dreyfuss launched the renowned Dreyfuss Charts in 1974. Over the years these charts have been a valuable reference guide for designers and architects to assist them in better understanding human proportions and mobility. 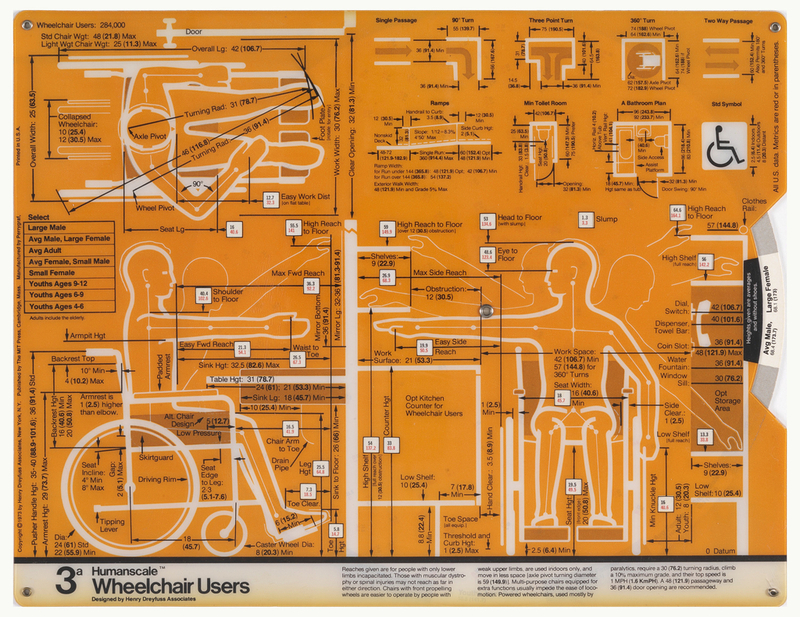 The orange template shown here is #3a for Wheelchair Users. Read this month’s Orange. Iceland only started building lighthouses in 1878. 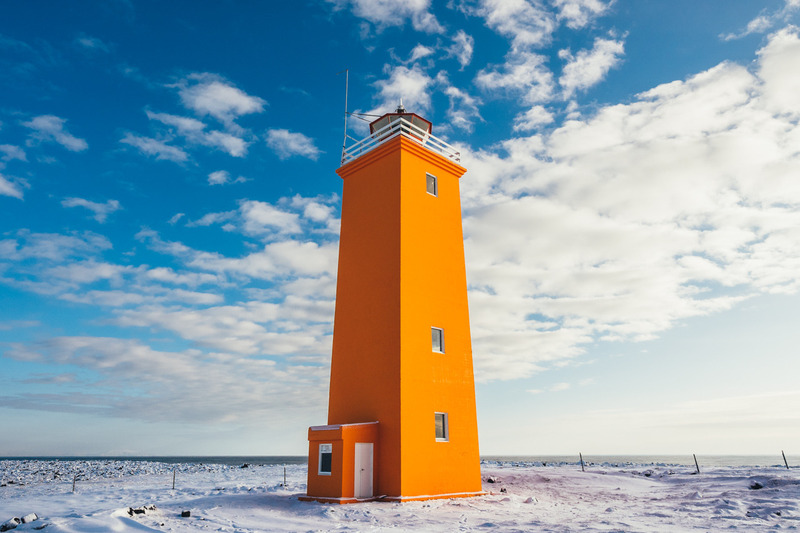 Now the country has 120 of the ship-guiding structures along their coastline – many of which are painted orange. Several of the lighthouses are now available for travellers to rent. If you’re looking for solitude and a good view of the ocean, perhaps a stay in one of these handsome landmarks is in order. Read this month’s Orange.